Labcon, a U.S. exporter based in Petaluma, California, has found that such strategies as mechanization, increased productivity, green technology, and an unwavering willingness to go abroad have helped it to achieve export success. Labcon North America, located in Petaluma, California, is a major supplier of disposable products to laboratories, which include pipets, centrifuge tubes, and other laboratory disposables. The company has been a leader in “eco-efficiency,” using less packaging, recycled plastics, and refillable packages in its product line. 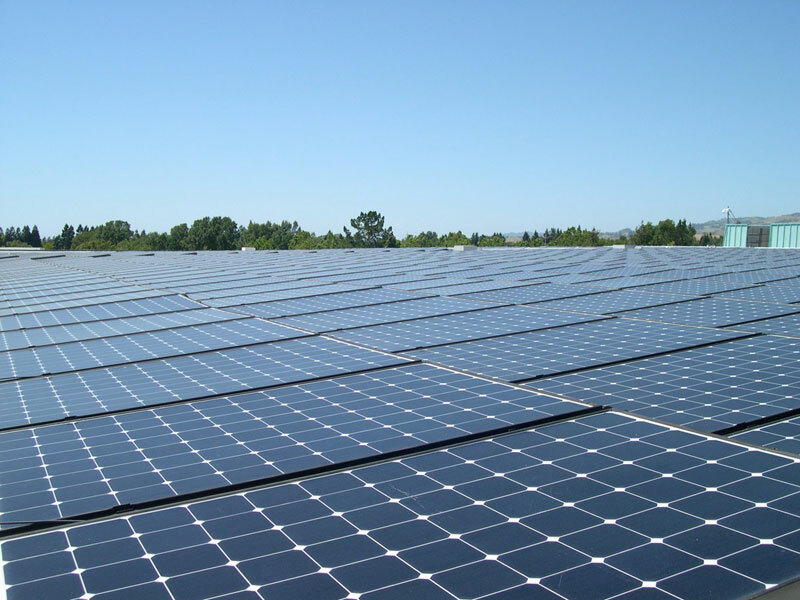 It has also been committed to sustainable manufacturing processes, most notably by installing an 800-kilowatt rooftop solar array that came on line in July 2011. This now provides about 30 percent of the energy needed to produce Labcon’s products. In May, Labcon received an E Award from then-Secretary of Commerce Gary Locke in recognition of the company’s achievements in exporting. Labcon’s president, Jim Happ, spoke recently with Doug Barry of the Department of Commerce’s Trade Information Center about the company’s approach to exporting and the tools that they’ve used to grow their markets overseas. Barry: Petaluma, California, was once known for its chicken eggs, right? Happ: Yes, exactly. Petaluma was once a leading exporter of eggs. In the 1950s, there were container loads of eggs going down the Petaluma River, headed to Mexico and South America. It’s interesting that we’ve won this E Award, and that we’re from Petaluma. It will be fun going back home with this! Barry: What does Labcon do? Happ: We are a manufacturer of medical liquid handling products, primarily disposables that are used by clinics, drug discovery labs, hospitals, and universities. We make about 4 million pieces a day of such labware. And we’ve been in business for more than 50 years. Barry: When did you come to the company? Happ: I’ve been here 20 years. When I came to the company, it was doing about $1 million a year in exports. Now we are up to about $10 million a year. Barry: How many employees do you have now? Happ: About 240, from just a handful some years ago back. But the number doesn’t tell the whole story. We haven’t grown in quantity that much, but we have grown a lot in terms of the number of higher-paying jobs. I’d say the average salary at Labcon now is 40 percent higher than it was six years ago. Barry: How do you account for that? Happ: We’ve mechanized a lot to become more efficient, and that has made us more competitive in the world market. We can compete with the Chinese. We can compete with anybody. Barry: What was the biggest challenge in increasing your exports? 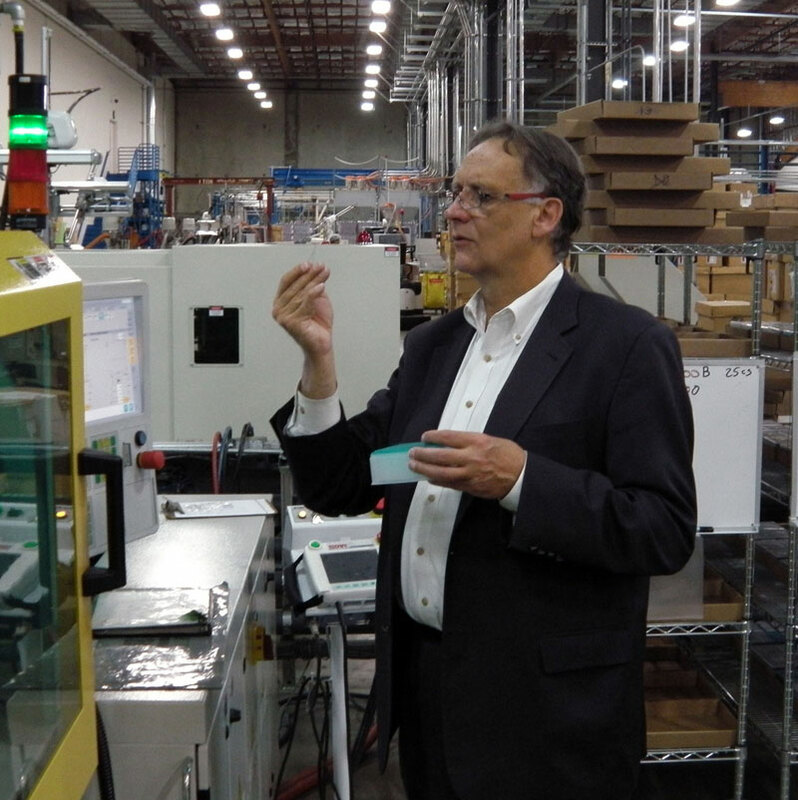 Happ: Because we produce medical devices, the biggest challenge was getting our products certified—in Europe, for example, with the CE mark and ISO certification—and getting all of our documentation ready with multilingual labels, etc. Barry: Did you make use of any U.S. government resources to help you in your efforts to expand overseas? Happ: Yes. The staff of the U.S. and Foreign Commercial Service (USFCS) has been really helpful to us, especially with the Gold Key matchmaking service. We did a couple of Gold Keys, where we had the opportunity to meet with potential distributors. We also received counseling on where the better markets were likely to be for us. Elizabeth Krauth of the U.S. Export Assistance Center in the North Bay Area [California] is our liaison. We’ve been working with her for at least five years. Barry: Can you tell us a bit about a country where you did the Gold Key? Happ: Well, in Singapore, for example, we had a distributor that wasn’t performing well for us. So, we went to the U.S. embassy where we met with several distributors and with the USFCS staff based there. We came away with a new distributor as well as a lot of literature on the market. We also got a lot of ideas on what we should be doing there as far as warehousing and how to make it easier for people to buy our products. Barry: How did that work out in terms of new business? Happ: I’d say we’ve quadrupled our business there in three years. We are now looking to hire someone in Singapore to manage our business. We think that if we had one person based there, we could exponentially grow our sales. Barry: What other markets are you looking at? Happ: Indonesia and Russia. We are looking at doing a Gold Key program in Russia because we have virtually no sales there. We’ve been unsuccessful in finding a good distributor in Russia. So I’ve already spoken to Elizabeth Krauth about using the Gold Key program to help us find one. Happ: In China, we have an arrangement with a distributor. We’re just in our first year with them, so we’re going to give them another year to see how they do. We gave them the first container of our product on 365-day terms. They have 130 salespeople spread throughout China. Barry: What percentage of Labcon’s sales is international? Happ: About 30 percent outside of North America. About 40 percent if you include Canada and Mexico. Barry: What would your advice be to a U.S. businessperson contemplating exporting? Happ: I’d advise them to visit those countries that they’re thinking of exporting to, do some research, talk to the Commerce Department’s export counselors, and so figure out where they should be. It’s important to physically go to those countries and meet the people there, and to go to trade shows and the embassies. If you have a competitive product in this country, you can be competitive overseas. We’ve completely gotten over thinking that the overseas part of our business is more difficult than the domestic part. It isn’t. In fact, it’s probably now easier for us to grow because overseas markets are expanding so much. Barry: What do you think holds U.S. companies back from exporting? Happ: I think many Americans are afraid, and don’t understand the world. It’s not a bad place! You’re not going to get ripped off, and you will get paid for your products. Unfortunately, many Americans are unaware that the rest of the world wants everything that we have, and that they really respect Americans and American products.